The study on which this infographic is based was made possible by UK Aid from the UK Government and grants from the Bill & Melinda Gates Foundation and the John D. and Catherine T. MacArthur Foundation. The views expressed are those of the authors and do not necessarily reflect the positions and policies of the donors. 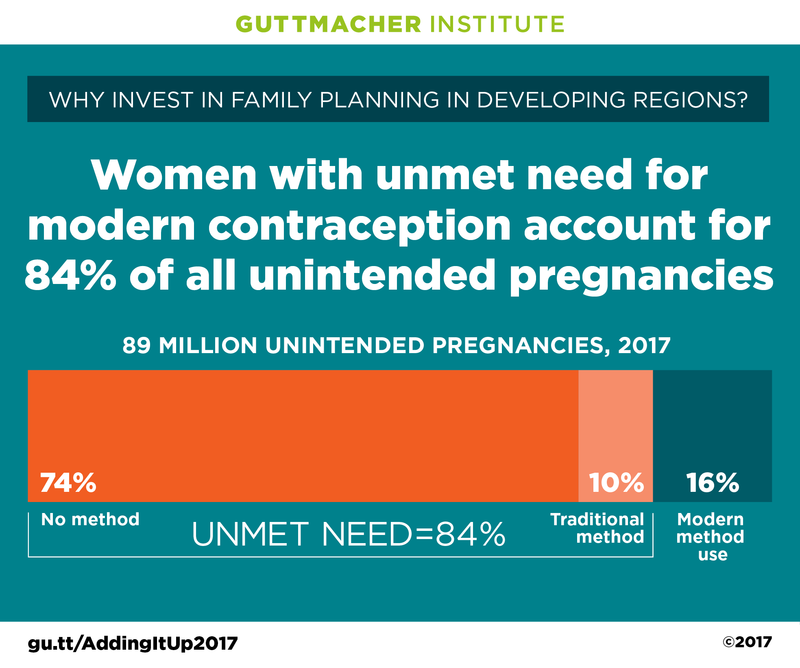 Guttmacher Institute, Adding It Up: The Costs and Benefits of Investing in Sexual and Reproductive Health 2017, fact sheet, New York: Guttmacher Institute, 2017, https://www.guttmacher.org/fact-sheet/adding-it-up-contraception-mnh-2017.